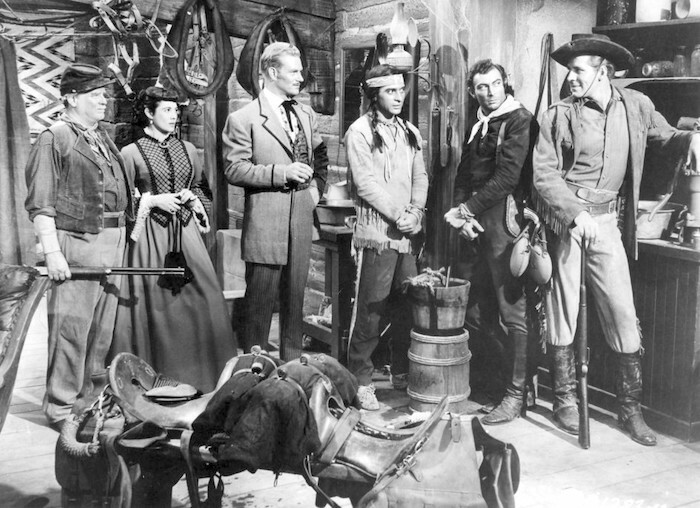 Phil Carey | 50 Westerns From The 50s. Figured it was time for another Fred F. Sears movie. A few years ago, I assigned myself the task of doing a post on each of Sears’ Westerns (I’m not counting the Durango Kids he directed). When those are done, the plan is to focus on his non-Western movies on my other blog. Columbia was cranking out 3-D movies like crazy in the height of the ’53-54 stereoscopic craze. One of the bigger ones was Raoul Walsh’s Gun Fury (1953) starring Rock Hudson, Donna Reed and a terrific supporting cast. 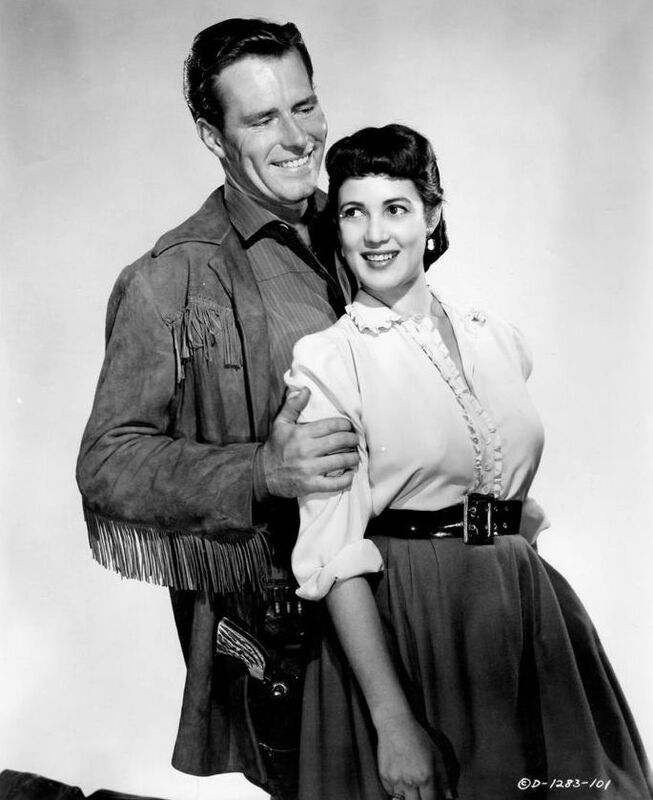 Phil Carey and Roberta Haynes were part of that cast, and as soon as they finished the Walsh picture, they were put to work on The Nebraskan (1953). Carey’s a cavalry scout who gets caught up in a standoff with the Sioux when he won’t turn over Wingfoot (Maurice Jara), who’s been accused of murdering chief Thundercloud. With them are a gambler Ace (Richard Webb) and saloon girl Paris (Roberta Haynes) — Carey used to have a thing going with Paris — and the murderous Reno (Lee Van Cleef), who’s escaped from the brig. 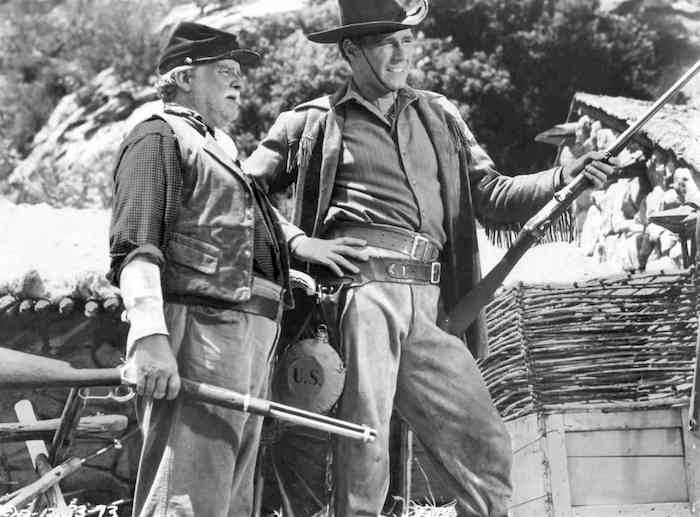 They take refuge in Wallace Ford’s way station, fighting off wave after wave of Indians — along with Reno’s repeated attempts to get loose and Ace turning out to be a sniveling coward. The small-group-under-siege-in-a-small-space part hints at Hangman’s Knot (1952), and the Indian attacks remind me of Apache Drums (1951). This approach keeps the limited budget from being too much of a hindrance. 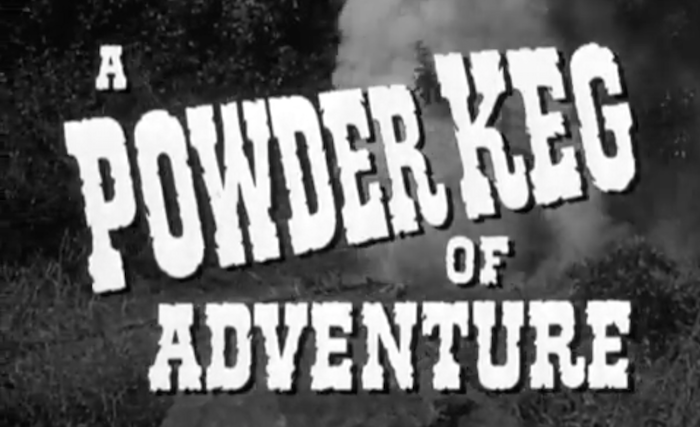 Wallace Ford is terrific, as always, as the grumpy ex-cavalryman. 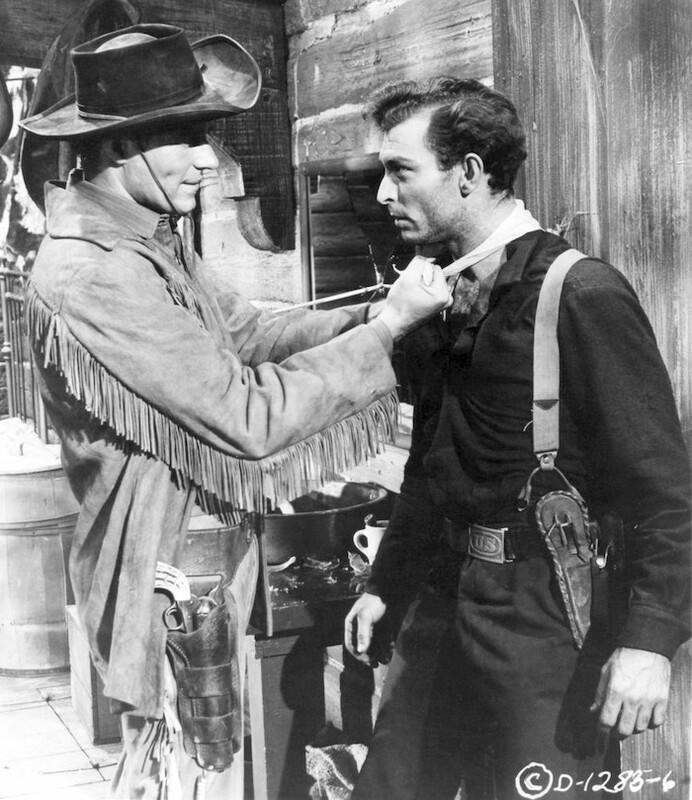 Lee Van Cleef is a real bad dude in this one. The scene where he strangles the guard at the brig is pretty tough stuff. Phil Carey’s OK and Roberta Haynes gets to look pretty and load guns. Speaking of that, it was good to see the loading of weapons treated somewhat realistically. I came across a news article on the film that said Maurice Jara also owned a restaurant in Pamona, Casa Ramirez. 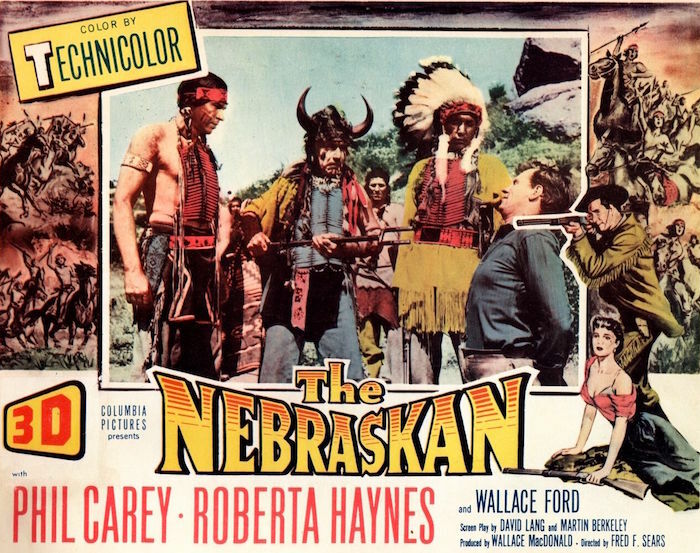 What I liked about The Nebraskan is pretty much the same thing I’ve said about all the other Fred Sears pictures — the high level of craftsmanship and efficiency he brings to these things. You can tell the cast and crew were professionals, committed to making the best they could of the material, budget and schedule. That goes a long, long way with these things. 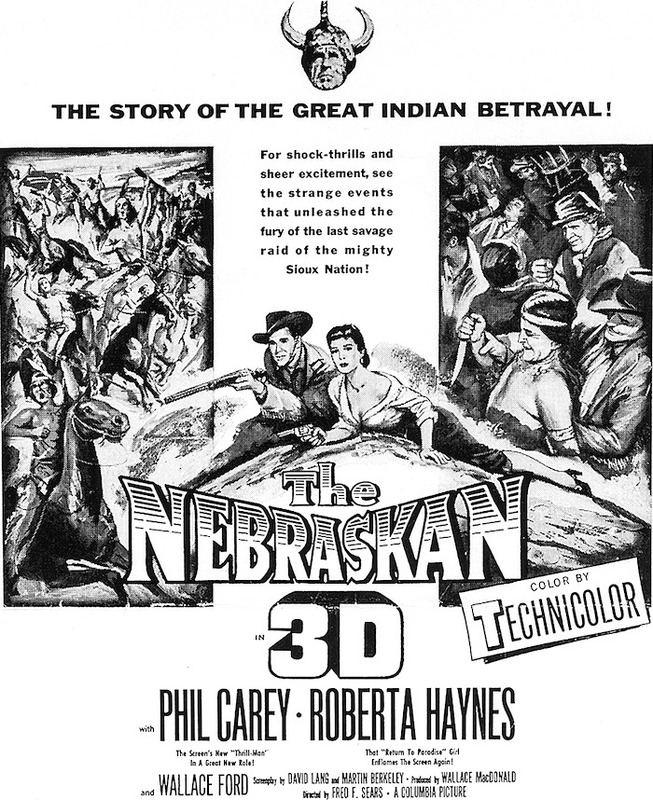 The Nebraskan was shot in Technicolor and 3-D by Henry Freulich — some of it at the Corrigan Ranch. It was intended to be cropped to 1.85. The picture got a DVD-R release from Columbia’s Choice Collection. It looked great but was presented full-frame. It’d make a swell candidate for one of those Mill Creek sets. TheNebraskan isn’t as good as the two pictures I compared it to, Hangman’s Knot and Apache Drums. But that doesn’t stop me from recommending it, or any of Fred F. Sears’ work. Was looking for images for a couple posts I was working on and found an ad where they played as a double feature (in Long Beach in December of 1953).